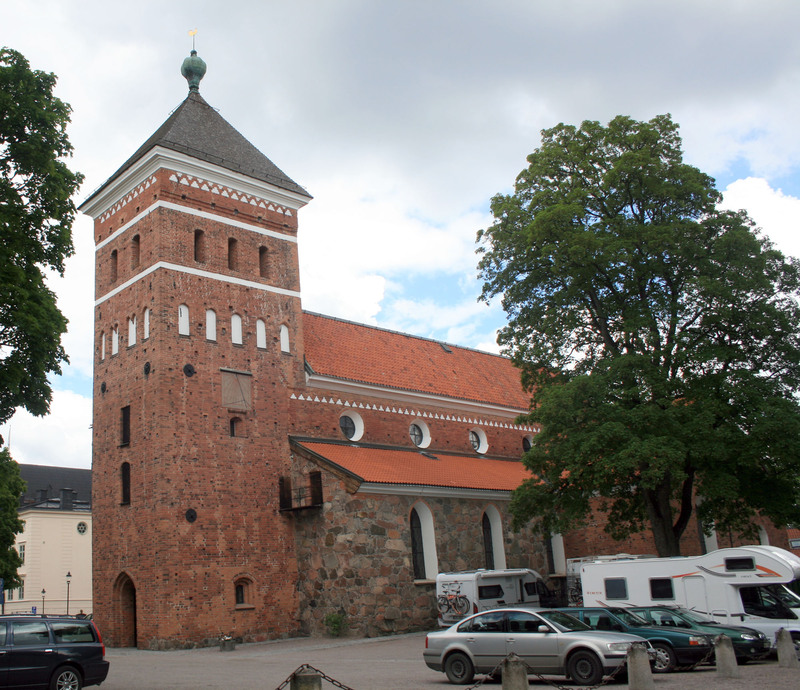 This church is directly south of the Uppsala cathedral. The current church is believed to be the third on this site. The oldest parts date to the end of the 1200’s. During the end of the middle ages, perhaps in the 1400’s, the solid but low tower was built. When the city burned in 1702, the tower’s spire was replaced with a hood. On the tower’s south side is a sundial which shows Swedish standard time (winter).